A: There are two questions that need to be addressed. First, the necessity or not of a new rite of dedication. Second, the rite for deposition of relics. Now, in this case, the altar has certainly not been destroyed, so in principle, a new dedication would not be required. This would only be necessary if the alterations to the original altar were so extensive that we would be dealing with an essentially new altar. Likewise, the restoration of the altar happened four years ago whereas a new dedication ceremony would have been almost immediate. Given that I have only our reader’s description, I think I must defer to the parish priest’s judgment on this matter. He clearly considered that the original consecration was not lost. “The tradition in the Roman liturgy of placing relics of martyrs or other saints beneath the altar should be preserved, if possible. But the following should be noted. Therefore it would be understood that relics to be placed under an altar would need to be of certain significance. The above norm also explicitly excludes the practice customary in recent centuries of inserting relics into a specially created cavity within the table (the mensa) of an altar or altar stone. Of course, it does not require their removal if already there. The norms also mean that It is no longer permissible to place the relics of saints in the base of a movable altar. Hence, since it would be necessary to obtain some significant first-class relics of a canonized saint, the altar is already dedicated, and relics are no longer required, I would say that it is unlikely that the bishop would permit that the altar be remodeled so as to insert them below the altar table. The usual rites do not foresee any celebration to insert relics in an already consecrated altar but only in a new altar. This might occasionally happen but is very rare — for example, when the body of a newly beatified or canonized person is placed under a previously existing altar. 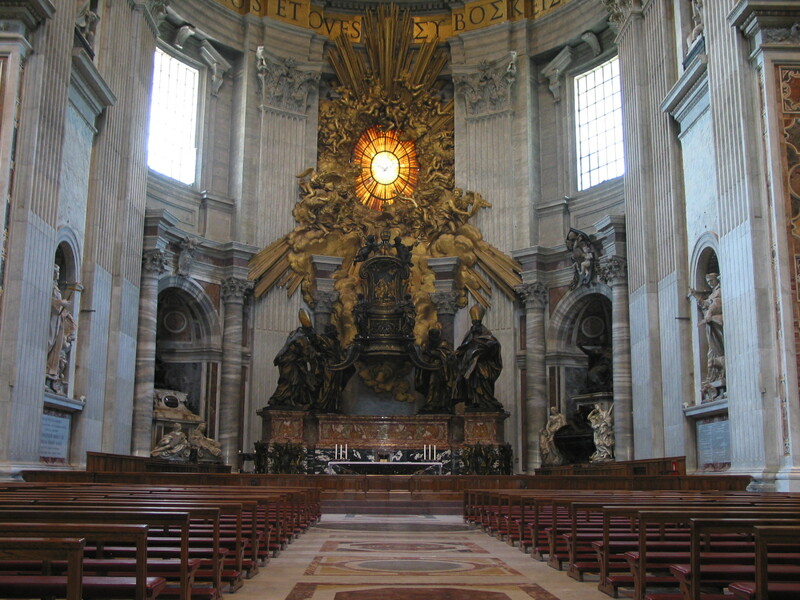 These ceremonies, however, are more often than not done in private, as was the case when Saints John XXIII and John Paul II were placed in their present definitive locations under pre-existing altars in St. Peter’s Basilica. Neither altar has been, at least to my knowledge, rededicated. However, should the parish priest manage to obtain a relic of such significance that it would warrant the construction of a practically new altar, and perhaps even a change of church patron, then the rite to be followed would be that of the Dedication of an Altar as described in Nos. 918-953 of the Ceremonial of Bishops and chapters 4 and 6 of the Rite of Dedication of a Church and an Altar. “236. The Second Vatican Council recalls that ‘the Saints have been traditionally honored in the Church, and their authentic relics and images held in veneration,’ The term ‘relics of the Saints’ principally signifies the bodies – or notable parts of the bodies – of the Saints who, as distinguished members of Christ’s mystical Body and as Temples of the Holy Spirit (cf. 1 Cor 3, 16; 6, 19; 2 Cor 6, 16)(324) in virtue of their heroic sanctity, now dwell in Heaven, but who once lived on earth. Objects which belonged to the Saints, such as personal objects, clothes, and manuscripts are also considered relics, as are objects which have touched their bodies or tombs such as oils, cloths, and images. “237. The Missale Romanum reaffirms the validity ‘of placing the relics of the Saints under an altar that is to be dedicated, even when not those of the martyrs.’ This usage signifies that the sacrifice of the members has its origin in the Sacrifice of the altar, as well as symbolizing the communion with the Sacrifice of Christ of the entire Church, which is called to witness, even to the point of death, fidelity to her Lord and Spouse. “– preventing any possibility of fraud, trafficking, or superstition.